Many of the 2016 Chevy/GMC HD trucks came from the factory without a steering stabilizer installed. Common on stock height and lifted trucks, a steering stabilizer helps reduce the front end shimmy caused by oversized tires. 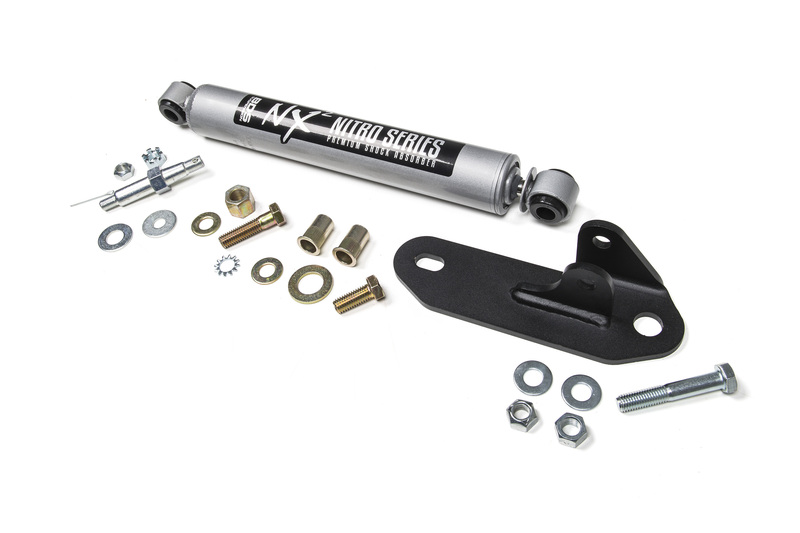 BDS Suspension is now offering an upgrade for the 2016 model Chevy and GMC 2500/3500HD trucks with a new single steering stabilizer kit designed to improve handling and drivability. 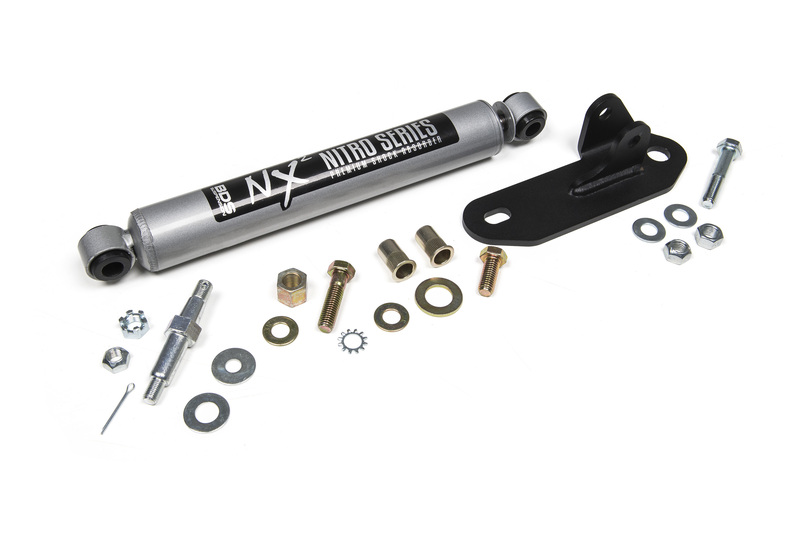 The kit includes a new frame mounted dual shear stabilizer bracket and hardware to secure the BDS NX2 series single steering stabilizer to the previous position over the center link. The design works with stock and lifted trucks that use the center link in the stock location. 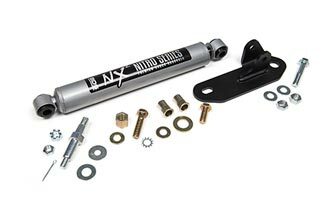 This steering stabilizer kit is compatible with all BDS lift kits and most other lift kits on the market for the 2016 Chevy/GMC HD trucks. Upgrade your HD with this new accessory from BDS Suspension. Words with stock or lifted applications. I purchased this kit for my 3500HD SRW Duramax and the rivet nuts do not fit the hole. The hole is 3/4 of and inch and the rivet nuts are 11/16 of an inch. Any input? I have looked locally for the correct parts but no luck so far. Hey Andy, I’m sorry to hear you’re having trouble installing the kit. Please contact our customer service team at (517) 279-2135 or sales-bds@sporttruckusainc.com so they can assist you with getting this resolved. Does this fit 2017 models? Hey Mitch, this stabilizer upgrade will fit the 2017 HD models not equipped with a factory stabilizer as well. Does this kit work in conjunction with the cognition steering brace kit? just called cognito and they are intrigued as to what is going on with this product. We sure do Robert, the stabilizer bracket is #55379 listed above. As far as compatibility with a Bilstein stabilizer I’m not able to answer that, it would depend on the dimensions of the stabilizer you are trying to install. A pressurized gas-charged cylinder isn’t recommended unless it has 50/50 valving to ensure it doesn’t great a push/pull effect on the steering.